When it comes to buying a house, it’s good to have certain expectations—certain lines in the sand. Some things matter to you a great deal, like location, school zoning, square footage, and price—and it’s not just acceptable but recommended that you not cave on these non-negotiables. But not everything can be a non-negotiable. Simply put, you’re not likely to find a truly perfect home. There will be always little issues, little things you wish you could change. When it comes to purely cosmetic issues, it’s often wise to overlook them, especially if all those non-negotiables are in place—because with cosmetic issues, you actually can change them down the road. Let me list a few examples of cosmetic issues that shouldn’t be deal-breakers. Ugly cabinets in the kitchen. You may look at the kitchen and fret that a full-scale renovation is in order—and that can be costly! But if the only real problem is ugly cabinetry, that can often be an easy and affordable fix. You might be amazed at how far a new coat of paint and a new set of handles will go! Wallpaper. Yes, wallpaper is a little bit gauche today, a little bit dated—but guess what? Removing wallpaper is an easy DIY job, and even if you want to hire someone to repaint your walls for you, we’re talking an investment of a few hundred dollars—something that can often be doable. Bad paint jobs. You may not love the ugly green paint in the bathroom, but again—this is an easy fix that you can do yourself, or hire someone to do for a reasonable sum of money. 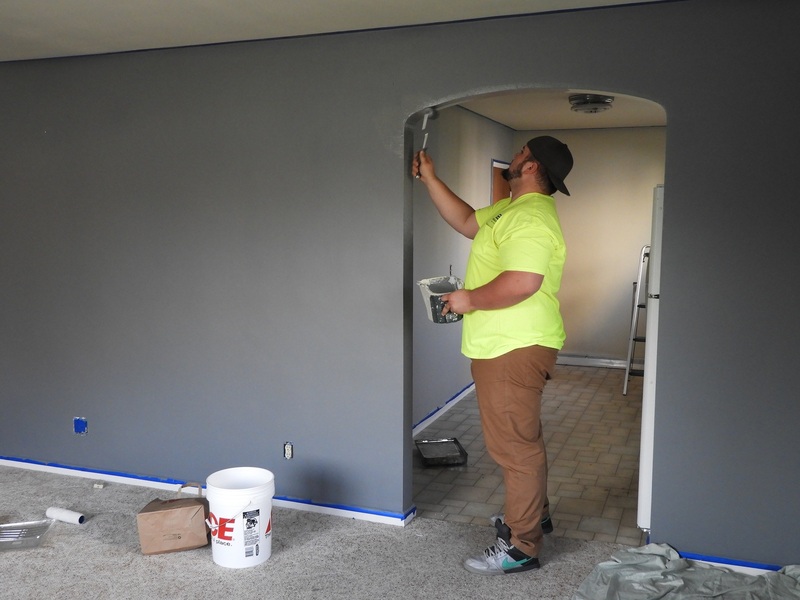 Paint jobs aren’t permanent, and shouldn’t distract you from an otherwise great house. Nasty carpet. It can be difficult to look beyond grimy or ugly carpet, but again, these things are not permanent. Carpet cleaning and carpet replacement are both options you can consider. Outdated light fixtures. There is really no easier home renovation to make. If there are ugly light fixtures in the home, you can buy new ones and replace them yourself, usually for quite a low cost. Again, don’t let these small, cosmetic issues keep you from buying an otherwise solid home. Unwelcome odors. Here I’ll be a little bit more cautious. If you’re concerned about the overwhelming smell of cigarette smoke, well, that’s reasonable; this can sometimes be a difficult smell to get rid of. But if it’s just dog or cat odors that concern you, there are plenty of deodorizing products you can get for a low price. In other words, it’s an easy problem to solve. It’s good to have high standards, but it’s also prudent to overlook cosmetic issues that are easily and affordably resolved. I’d love to talk with you more about this, and to start showing you some truly great North Carolina homes today. Reach out to the Ryan Minges team today to begin that process.